In the heart of Romania, in Cluj-Napoca, an educational event called TNT or Training new Trainers was organised from the 7th to the 14th of December 2016, in collaboration with AEGEE-Academy. 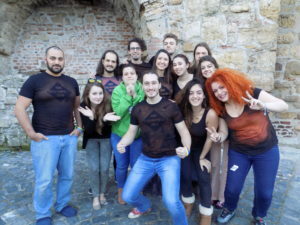 For this article, we talked to organisers Antonis Triantafyllakis (AEGEE-Cluj Napoca) and Marina Muşetescu (president of AEGEE-Cluj Napoca), trainers Antonis Triantafyllakis (The AEGEE-Academy) and Danny Memarpour (IFMSA-International Federation of Medical Students Associations) and participants Alejandra Piot (AEGEE-A Coruña), Anna Ziętkiewicz (AEGEE-Wrocław) Petra Buruzs (AEGEE-Budapest), Markella Moraki and Melissa Carreres (AEGEE-Alicante). Cluj-Napoca really fascinated all of them. The Training New Trainers (TNT) was an amazing event for young Europeans, through which they learned all the necessary qualities for holding a training in front of an audience. It fulfills the needs of our network: having good and highly motivated trainers who will help our members develop themselves and their skills. The main aim of the event was to develop the necessary skills of the participants in order for them to be successful trainers in the future, proficient in using non-formal education methodologies to make their sessions memorable, fun and interactive. 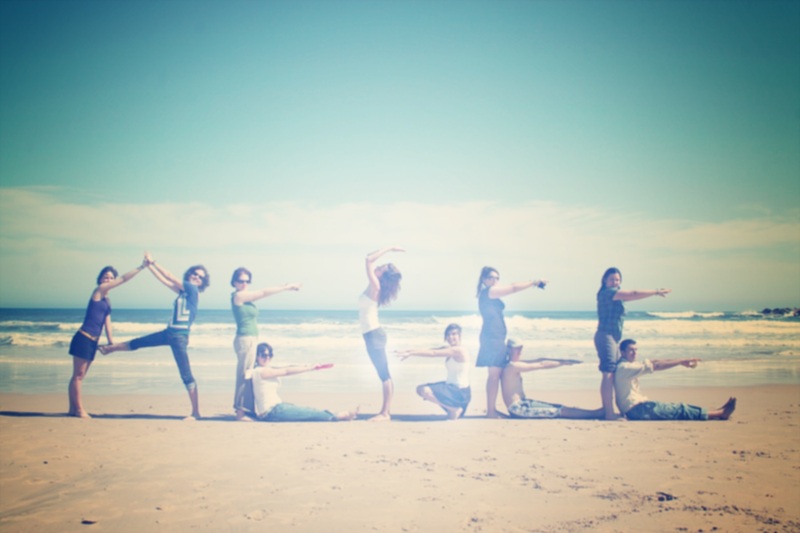 Since active participation is at the very core of non-formal education, organisers tried to involve the participants through learning-by-doing, one of the pillars of The Academy. 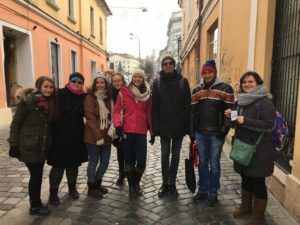 The organisers wanted to bring non-formal education in a students city like Cluj-Napoca, and it was also a good start for the newbies to see how it is to organise an AEGEE event. The sessions were meant to develop the skills of the participants, or better put, future trainers and some topics were: Non-Formal Education, Training Design and Delivery, Learning Styles, Group Dynamics, Public Speaking, Self Sense, Facilitation, Giving and Receiving Feedback and Evaluation. 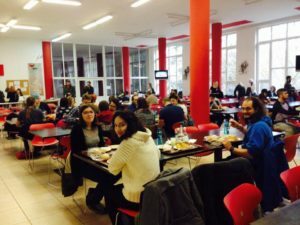 Thanks to the help offered by the University of Babes-Bolyai, some meals were served in the canteen, while others (mostly traditional Romanian meals) were home-cooked by the organisers, new and old members of AEGEE-Cluj-Napoca. On its side, AEGEE-Academy was responsible for the sessions, the educational part of the event. 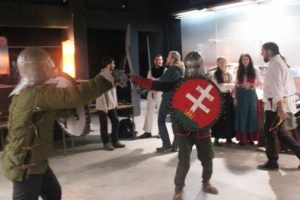 There were also some leisure activities like the city tour, a visit to “Samsara Teahouse” and a Medieval show with local dances and sword fights, although participants did not have a lot of free time. “It was really nice to have two trainers from outside our AEGEE world; the trainers were there for us, whenever we needed them. 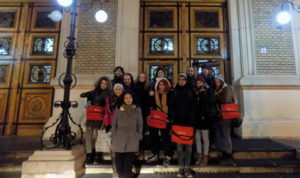 The programme was full, the timetable was more or less strict, but we were there to learn, so mostly we did not mind staying there till 2am and work” says Petra, from AEGEE-Budapest. Some words that can describe the session time, according to the participants, could be: inspiration, creativity, methodologies, brainstorming, sharing and “bullshiting”. The highlights, also according to attendees, were various: the TNTx session, to see themselves as trainers and reach their own limits, to handle their expectations and fears and share, give feedback, go with the flow. Participants learnt a lot of new methods, techniques and theories as a trainer, new ways of approaching future students, to raise their creativity skills but also developed themselves as people. They fell in love with the concept of training, and they discovered that everyone of them has so many things to teach, in every type of learning and every aspect of life. They found a place where they can open their hearts and share their fears, thoughts, happiness. The trainers were two AEGEE members from AEGEE-Academy, Antonis Triantafyllakis and Ioana Duca, and two from other NGOs, Danny Memarpour from IFMSA (The International Federation of Medical Students Associations) and Zeynep Bostan from EFPSA (European Federation of Psychology Students’ Associations). The goal of the trainers was to equip the participants with enough knowledge, skills and attitudes for their future as trainers in non-formal education, but also to keep practicing, to learn from new co-Trainers and participants. According to Daniel and Antonis, the greatest thing about being a trainer is observing the self-development of others in real-time and feeling you are somehow contributing to that. After TNT, AEGEE-Cluj-Napoca adquired more active members. These kinds of events are perfect for newbies to understand what AEGEE is all about and how much you can learn -no matter if it is a soft skill or a hard one. Also they had the opportunity to experience a European event in their home town. As a specific outcome for the Romanian local, most of the organisers are now part of the core team for AEGEE-Cluj-Napoca’s Summer University 2017.